The History of the Apache Wars including details of the cause, reason, and summary. 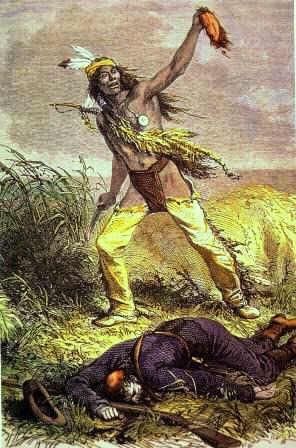 The combatants of the Apache Wars were various tribes of Apache Indians and the US. Apache Wars Summary and Definition: The Apache Wars were a series of conflicts fought over 50 years with American settlers, the Confederate and United States against many Apache tribes in the southwestern United States. The Apache Wars were fought by several tribes of the Apache nation including the Chiricahua, Jicarilla, Mescalero, Chihenne or Warm Springs Apaches and Lipan Apaches together with the Western Apache and the Plains Apache tribes. Geronimo was a great war chief and Medicine Man, or Shaman, of the Chiricahua Apaches. His Indian name was Goyathlay. As a war leader he produced such fear in his Mexican enemies that, when Goyathlay led the attack, the Mexicans would call out the name of their patron Saint Jerome and his nickname, Geronimo, added to his legend. The significance of the Apache Wars in history is that the semi-nomadic lifestyle of the Apache, which included hunting, gathering and farming has been lost forever. The languages, culture, religion, beliefs and ceremonies of conquered people fallen into decline - even Geronimo converted to Christianity. The number of people of the Apache nation have significantly and sadly diminished. 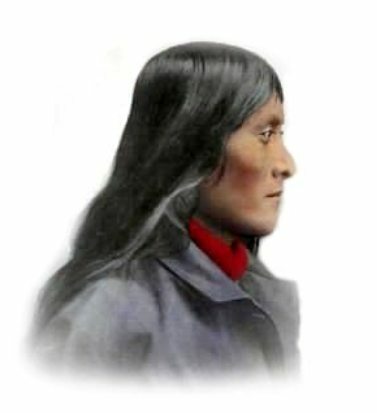 The demise of the Apache led to the prosperity of the white settlers who gained the land, natural resources and wealth of the Southwest United States. This short History Timeline of the Apache Wars provides facts and information about the history, years, key dates, key events and key people who fought in this war. 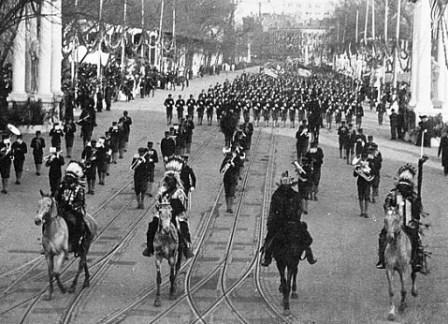 1905 Geronimo leads President Theodore Roosevelt’s Inaugural Parade. Apache Wars. Discover the key dates, key people and events of the Apache Wars together with the causes and effects of the war, conflict and battle. Pictures have been include wherever possible which show the clothing, weapons and decorations of various Native Indian tribes and their leaders who fought in the Apache Wars. The illustrated text provides a really useful educational resource for kids and children of all ages. We have included pictures and videos to accompany the main topic of this section - The Apache Wars. The videos enable fast access to the images, paintings and pictures together with the information and the many facts featured on this subject of the Apache Wars.